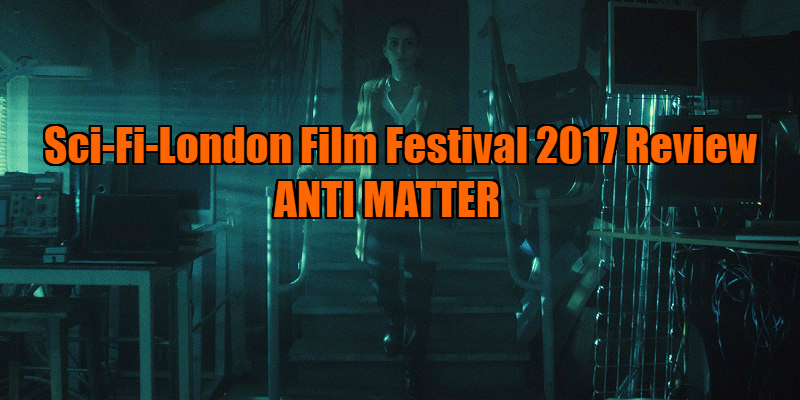 Anti Matter is a neo-noir, sci-fi feature written and directed by Keir Burrows. His award-winning screenplay tells the story of Oxford PhD student Ana (Yaiza Figueroa), who stumbles across what appears to be a method of creating a wormhole while researching increasingly quantum physics. Her co-conspirators Nate and Liv appear distant, then openly hostile. Ana suspects they may be plotting to keep the truth from her so they can take credit for the project themselves. People tell her of things she has done that she has no memory of. Her flat is broken into by a masked intruder and her papers are stolen. She finds she is being watched by government officials. Ana is frustrated by her inability to fully remember any clues but is determined to unravel what has happened to her. The film comes to a startling and dramatic conclusion, as through many gripping disclosures, Ana finally discovers the secret behind the result of the experiment and her memory loss. I was mightily impressed with Anti Matter. It’s a darn sight cleverer than many mainstream science-fiction offerings. I’d bet even Chris Nolan would respect its well-crafted plotting. The movie manages to intertwine an absorbing story-arc with flashbacks and dream sequences, and offers us engaging characters with a decent script. Anti Matter is entertaining and intellectually stimulating, with several genuinely thrilling or eerie sequences. In the lead role, Figueroa manages to veer between confidence in her abilities, paranoia and heart-breaking isolation. (She is also feisty enough to clobber and give chase to intruders). 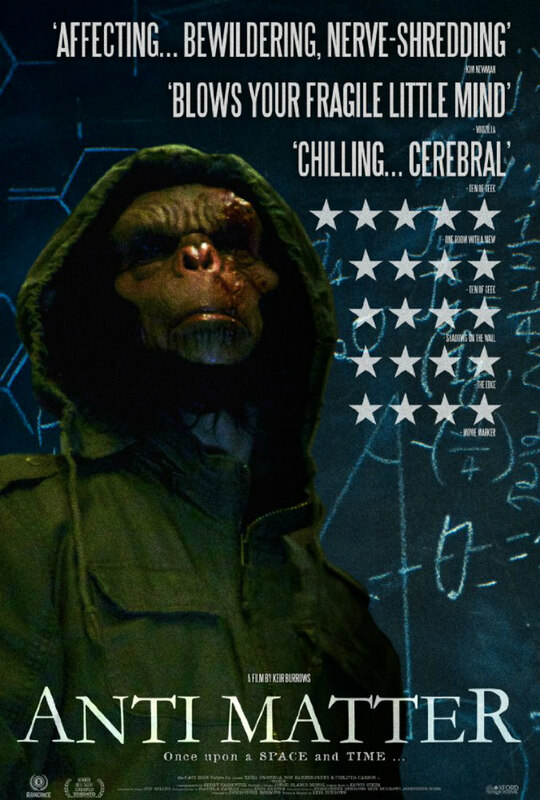 From the Director, Keir Burrows: “Anti Matter is a fast, dramatic and accessible sci-fi thriller. Written for a micro-budget, it draws its momentum from tense dialogue and a noir-ish plot that should have the audience trying to solve the crime as Ana does. It uses locations carefully to help advance the story, with scope for creative production design as the wormhole generator is built out of scrap and circuitry. Burrows is an award-winning writer, director and producer. His 2014 film The Showreel premiered at the BFI London Film Festival and won at the Cambridge Film Festival. Both his previous films (Donkey, 2011, and Grace, 2012) opened at Tribeca. Together his films have won over a dozen Best Film, Screenplay or Director awards. I for one will be keeping an eye on where Keir Burrows is going to go next – hopefully it may be somewhere we’ve never been before.